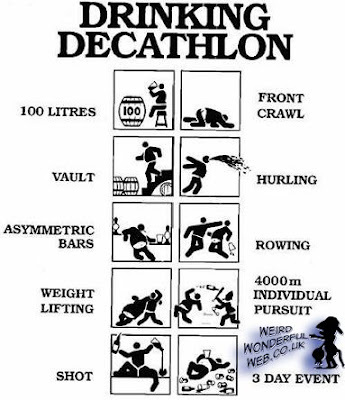 Weird Wonderful Web: Drinking Decathlon! Drinking Decathlon - Are you (un)fit enough? For those of you that feel you missed out, by not taking part in the Beijing Olympics, fear not, you can still take part in the Drinking Decathlon pictured above.